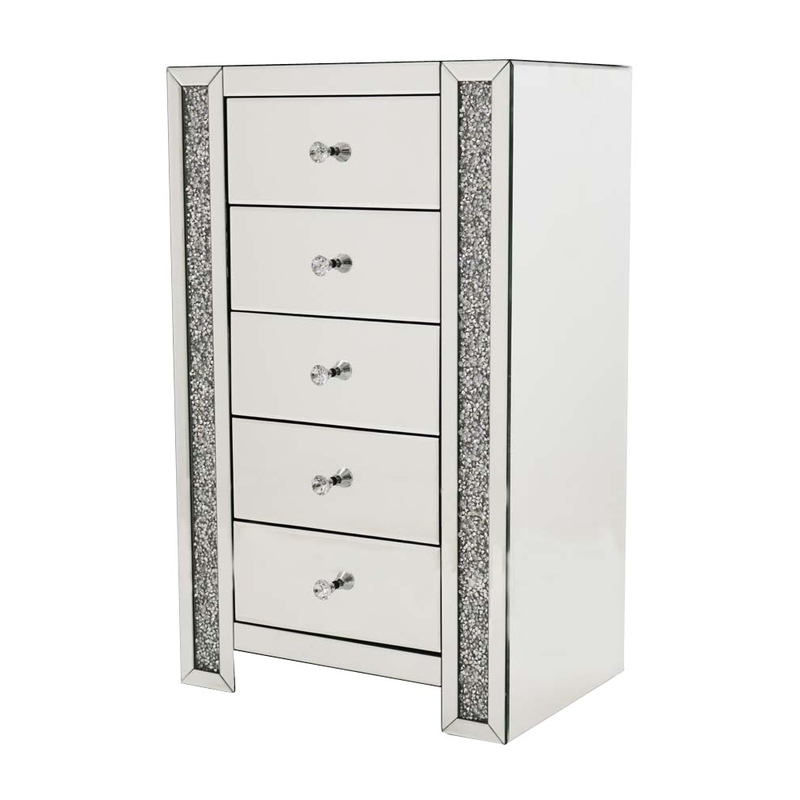 This is such a beautiful mirrored tall-chest drawer. It is a really stunning piece that would look amazing in your home. The drawer has two stripe like glittered/crystals filled, it helps bring out its beauty. This drawer has five separate draws and has simply designed handles which perfectly finish the drawer off.